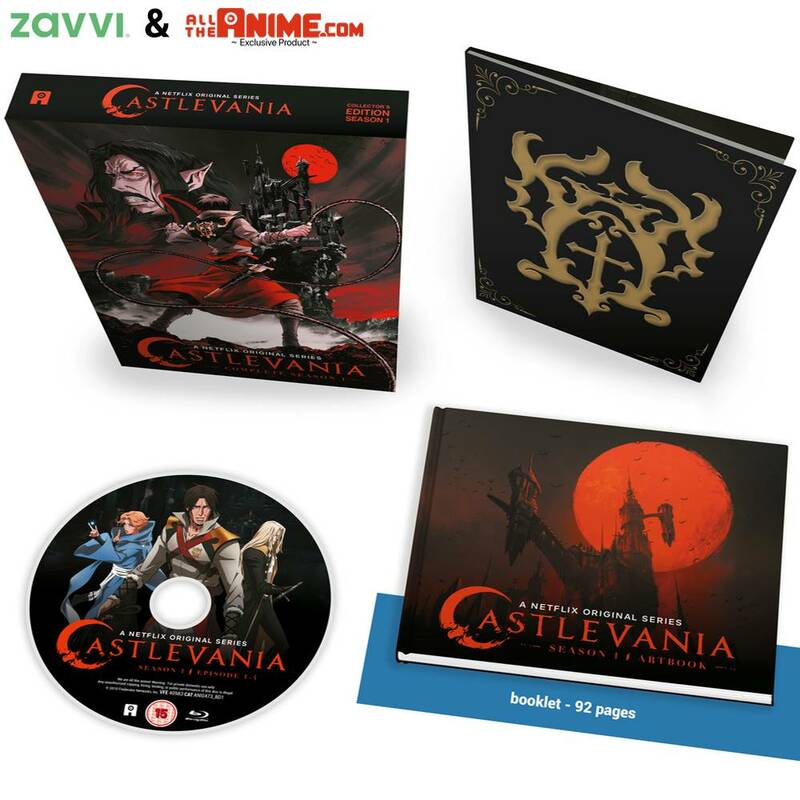 Castlevania Season 1 – Available now for pre-order!. Released on 13th May 2019 exclusively at Zavvi.com and AllTheAnime.com. A little while ago we caught some of you completely off-guard when we announced we would be bringing the first season of the hit Netflix animated series Castelvania to Blu-ray! We appreciate it’s been a bit of a wait for any more news on that, but the time for waiting is over as today we’re here to split some heads and cast out some demons as we tell you what to expect from our upcoming Blu-ray Collector’s Edition Blu-ray release of Season 1… oh, and you can pre-order it right now too! Inspired by the classic video game series, Castlevania is a dark medieval fantasy following the last surviving member of the disgraced Belmont clan, trying to save Eastern Europe from extinction at the hand of Vlad Dracula Tepes himself. 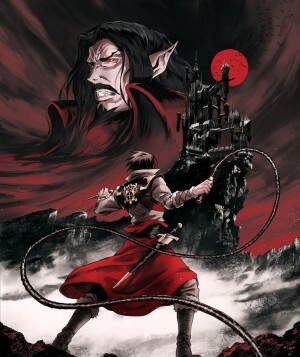 Adapting the story of the hit game “Castlevania III: Dracula’s Curse” the series written by renowned writer Warren Ellis (Transmetropolitan, Astonishing X-Men) is a fantastic viewing experience for fans of the franchise and those completely new to it as well. The success of the first season on Netflix led to a second being produced and a third season also being green lit for production! WHEN’S IT OUT? WHERE CAN I BUY IT? Today we can confirm that our Blu-ray Limited Collector’s Edition release will be arriving on 13th May 2019 and will be available to purchase exclusively through Zavvi.com and AllTheAnime.com. Can’t wait to buy it? Well you don’t have to, as pre-orders are now open at both retailers for this edition! WHAT’S INSIDE? WHAT’S ON THE DISC? Our Limited Edition Blu-ray set will, as per our Collector’s Edition tradition, come packed in a rigid case case – inside that you’ll find a fold out digipack that holds the Blu-ray disc. But that’s not all – with so much fantastic artwork on show within this series, we’ve collected a wealth of it into a 92-page art book featuring character designs from the series, monsters and background art aplenty. It’s exactly the kind of definitive collection of material you’ve come to expect from us and we haven’t let you down – if you want to know what character feature caused the designer to apologise to the animation team for making their lives difficult, this is where you’ll find it! Last but not least, on the disc itself you’ll get the entire first season of Castlevania (all 4 episodes) with English audio and optional English subtitles; in addition to that you’ll also find some bonus features in the form of storyboards and production animatic galleries. And there you have it folks! Castlevania season 1 comes to Blu-ray very soon! We hope you’re looking forward to adding this to your collection on May the 13th, and if you are then don’t forget to place your pre-order using the links above!